Re-presenting the beginning of Eric Powell's acclaimed Goon saga, in a new edition with a brand-new cover and design! The nameless man, the Zombie Priest, has come to town to build a gang from the undead. But even the undead fear the Goon, mob enforcer and protector of the downtrodden residents of Lonely Street. With Powell's stunning artwork, The Goon's unique mash-up of horror, mob intrigue, and the sickest sense of humor in comics is an instant classic, and this new edition is the best time ever to find out what you've been missing! It all starts here! Dark Horse is proud to re-present the beginning of Eric Powell's acclaimed Goon saga, with a lavish new cover and redesigned to match the swanky "Goon Year" collections. 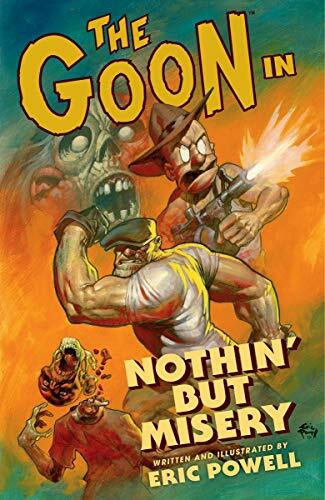 The Goon's unique mash-up of horror, mob intrigue, and the sickest sense of humor in comics is an instant classic, one of the true breakout hits of the '00s. With new volumes of The Goon hitting stores throughout the year, this is the best time ever to find out what you've been missing!